Stop living paycheck to paycheck tips for you. 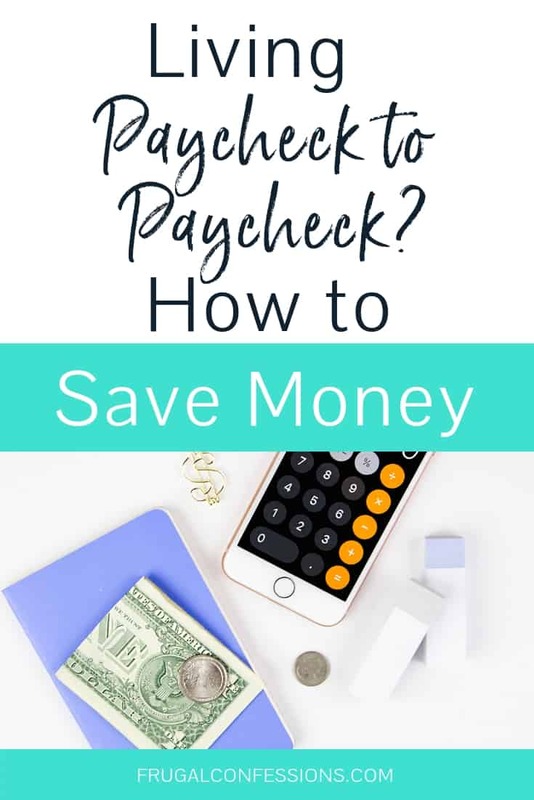 You'll especially want to pay attention to the section on how to save money when you are living from paycheck to paycheck. 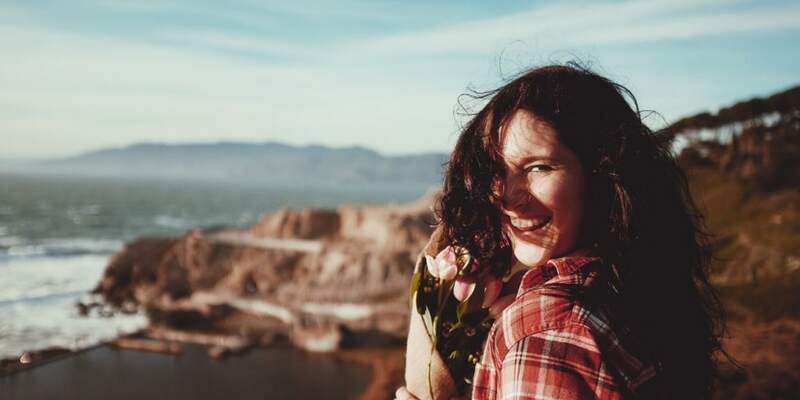 I'm so glad you're here to get some stop living paycheck to paycheck tips – because if you're living paycheck to paycheck, then you need all the help you can get. 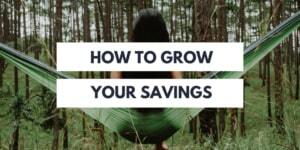 Let's start with why building up a savings is your key to getting out of this lifestyle, and then HOW to actually do that when you barely have enough in your paycheck to cover the bills. I Live Paycheck to Paycheck, How Can I Save Money? How Do You Save Money When Living Paycheck to Paycheck? You need both an income AND a savings mentality in order to build up your money. If you're living paycheck to paycheck with no savings, then you're just one emergency away from sleeping on your mother's couch. Think about it: how will you pay for the next accident or big expense that surprises you? I know, I know — I'm sure I don't have to tell you this. This is the kind of thing that keeps you up at night (and keeps you reading personal finance articles, like this one!). That's why we're going to cover how to save money in the next sections, even with a paycheck that barely pays the bills. If you are living paycheck to paycheck, then you know that there is not an ounce of money to spare for your saving account no matter how much you’d like to build up your savings. However, by not saving money, you are only ensuring the permanence of your current stressful lifestyle. I want better for you and for your future; I want you to have financial freedom in your future instead of bill cycles and anxiety. In order to have this, we need to find ways to get your money from your paycheck into your saving account using your current income. Below are some ideas. Please remember that any of these ideas are useless if the extra money they free up does not actually make it into your saving account. If you are living paycheck to paycheck and have been for awhile, then you are surviving on what you make. Everyone just received a 2% “raise” from the government because they lowered the social security taxes by 2%. 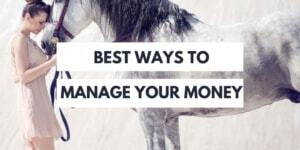 Give this money purpose, and make sure it goes into your savings account. Depending on what your household makes, it could mean an extra $50, $100, or more in savings per month. If you receive a tax refund at the end of the year, then sit down with your HR department and figure out how to adjust your withholding so that the extra money ends up in your paychecks. Then earmark this extra money for your savings account each month. If you are paid every other week, then there are two months out of the year where you will receive three paychecks. Since you are used to living on two paychecks per month, this should feel like winning the lottery (okay, a lottery that you had to work 40+ hours for). Instead of earmarking this golden nugget for a large purchase, or letting it sit in your checking account to be slowly squandered away, deposit it into your savings account pronto. I am paid once a month so this does not apply to me. However, Paul is paid twice a month, and June is the next month where he will receive an extra paycheck. We will be using his extra paycheck to invest and grow our net worth. If you are living paycheck to paycheck, that means you cannot afford your current financial obligations. Look at your contracts for your cell phone, cable, rent, utilities, car lease/payment, etc. Some will be easier to get out of than others. Because of cancellation costs, some will not be financially worth it to break. The first step when breaking contracts is to find a better deal for the services that you will still need, like a phone, a car, and utilities (read: cable is not a necessity and you should be eager to give it up at this moment in your financial distress in order to sock away the extra $60 per month towards financial freedom. An example of people who recently did this is from the show Downsized). Cell Phone: You can get out of your contract without paying the $175+ early cancellation fee. Sell your contract to sites such as CellTradeUSA. There are some great pay as you go cell phones available that you can sign onto. Utilities: This is geared towards utility markets like the one we have in Houston where there are numerous utility companies that compete against one another. While you may still have to pay a fee to get out of your utility contract, many companies offer $200-$300 to switch to their cheaper rates. You can use this money to offset the cost of early termination with your other company. Cable/Internet: You will want to call the cancellation department of these companies and tell them that you need to cancel your contract. One of two things will happen: they will offer you a better deal, or they will be able to temporarily suspend your contract to give you a few months off for free until you can pay again. Either is great to boost your savings. Car Lease/Payment: Is your car payment or lease more like an apartment payment or mortgage? Cars are not a good investment—they lose value as soon as you roll them off the car lot, which is why you should typically buy used and let the first owner take a hit on their investment. Still, you can sometimes get out of these obligations. For an un-leased car, you can attempt to sell it. For cars that are leased, you can use services such as SwapALease.com or WalkAwayLease.com where you can list your car and a buyer who is looking to take on your lease will hopefully find you. Transferring your lease does not ding your credit score, but you cannot do it without your lease company’s consent. Make sure you understand your contract and discuss your options with your lease company. I have an aunt who lives in a beautiful area of D.C. in a gorgeous, two-story home. How did she afford to live just a few blocks from the metro in our nation’s capitol? At least since I was born, she has taken in roommates. She posts the ads in the newspaper, conducts interviews, gets to know the candidates and then makes a decision. A lot of these people are students, people traveling on business for a period of time, and people from foreign countries. 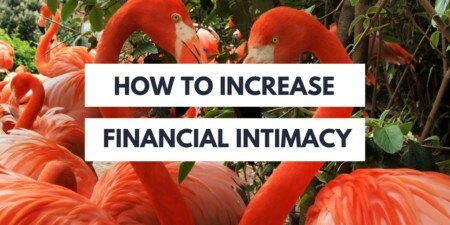 She has met a wealth of individuals, made connections to last a lifetime, and each month, she gets to divide up the mortgage, utilities, and all other house expenses by 2-4. I lived with a roommate during my first year out of college and the savings were dramatic. Even if you have a family, this can be an option for you. Do you have a basement, or a spare bedroom and bathroom? Are you within distance of a major city or a college campus? Think about the possibilities. Variable expenses are the ones that are easy to trim, as you are in control of them and typically are not bound by any contracts. These categories include transportation, food, entertainment, clothing, habits/addictions, etc. We will tackle these as individual categories in upcoming articles. Psst: you'll definitely want to shift your whole thinking around frugal living and give it a shot! Saving money—actually depositing money into a bank account that won’t be touched in the short-term—happens when both the physical and mental elements are right. What do I mean by this? A healthy savings account does not just manifest by itself. If a person makes a decent income but sees no benefit in saving any of it, then savings will not automatically accumulate. Conversely, if a person is a natural-born saver but is struggling to make ends meet, then it will be difficult to accumulate money as well. Fortunately, both of these areas can be improved upon, potentially even without securing a second or third job and even without sacrificing many of your wants today. Below are a few tricks that you can use to overcome both barriers—mental and physical—and get more of your hard-earned paycheck into your bank account. Do you know what your savings means to you? Yes, it means more money. But what else? Some possibilities include financial security, financial independence, seed money for a different kind of life, travel, retirement freedom, etc. Online banks generally allow you to give each of your accounts a nickname, so take the opportunity to give it a pet name that invokes some emotions in you. Say, “Freedom Fund”, “Seed Money”, “Declaration of Independence”, or really anything that makes you want to stash money in it more than the generic “Account: X123456789” will. Running does not come natural to me. It never has, though after six months of consistently doing it 2-3 times per week I find myself wanting to do it more. Because it’s not natural for me, I play a mental trick on myself that has stretched me much farther than I would normally run. When I run, as I get to the end of where I typically stop running, I start egging myself on just a little bit further. I might tell myself “when I get to that next tree, I’ll stop”. After I reach that tree, I mentally declare, “when I get to the next light pole I’ll be finished”, then, “I’ve made it this far, might as well go to the end of that bench.” Adding a little onto the end when I am in the zone already stretches me past where I thought I could go. Once you have figured out how much you can save each month, challenge yourself to do a little more. If you have earmarked $100 for savings, why not do $110, or $120? Then as this amount becomes your new norm, stretch yourself again. Make it to $140, or $150. Once you figure out you still survived without the extra money to spend, saving the higher amount will become a regular habit. Paul and I love to travel. Typically we do not purchase lots of souvenirs (we’d rather spend the money on more travel). However, on our honeymoon to Austria in 2010, I fell in love with a cow piggybank. We spent the $20 and traveled all the way from Salzburg back to Houston with it—ceramic ears and tail intact. Ever since then we’ve put all of our “silver” change into its belly. A little under three years later we cashed it in for the first time for $93.01 of money we had never missed. Cha-ching! Just like you can save all of your change in a jar, you could also save each $1 bill (or coin) that crosses your path. These may not fit well into a piggybank, so instead you could take a shoe box and stuff them in there. Once every six months count it up and take it to the bank (or sooner if you happen to have a lot of dollar bills). If your company is as slow as my husband’s in reimbursing you, then chances are you have already found a way to cover the amount spent before the money comes in. While you may need some of the reimbursement check to put back into savings or cover your bills, try to skim some off the top to put straight into savings. This works even better if you use your own vehicle and get reimbursed by the mile, as you will make a small profit. The extra is meant to reimburse you for future car repairs, so it’s a good idea to save this money anyway. Many of us have a social network online or in person. If there is a service you enjoy using, be sure to tell your family and friends about it. You can look in your account and see if there is a way for you to get credit for referring someone to the service. Include a link when you post on Facebook, email, or any other form (and tell them upfront that you receive a benefit for them signing up under you). Many referral links also give the opportunity for the person signing up to get something special as well. For example, ING Direct (now Capital One 360) used to give $25 to the person signing up for a new savings account, and $10 to the referrer. It’s a win-win! Take your extra referral credits and put them into your savings account. You may need to offset the cost to do this. As an example, if you receive a credit on your bill for the referral bonus, then put that same amount of money from checking into your savings account.